As the global population continues to grow every year, so too does the demand for agricultural products. To continue feeding the world without damaging the environment is one of the greatest challenges faced by society, and can only be achieved by increasing the efficiency and sustainability of agricultural production. 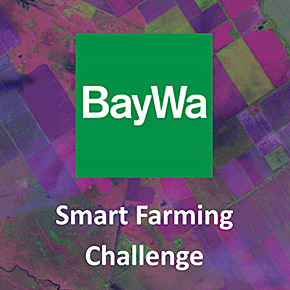 BayWa invites submissions that look to tackle this challenge by combining satellite data with other data sources in an innovative and commercially viable way, and where possible, by using machine learning/artificial intelligence to process the data. Participants are encouraged to explore BayWa’s existing smart farming products and to present complimentary or novel solutions.